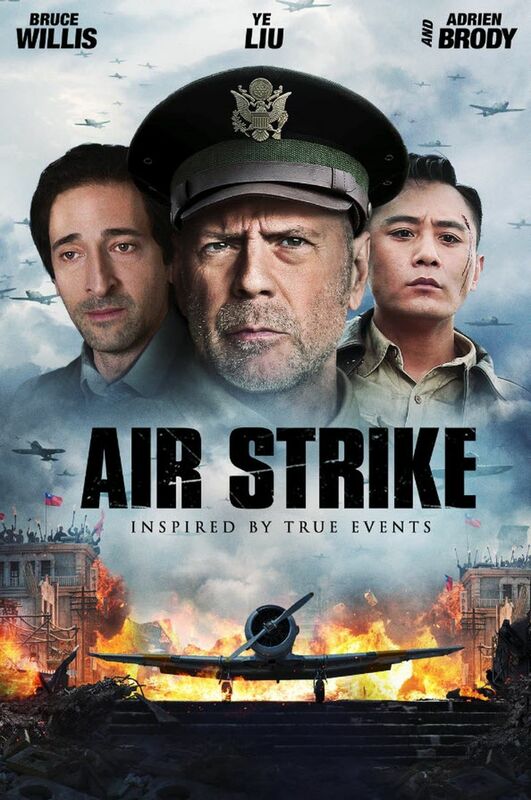 Air Strike DVD and Blu-ray release date was set for December 18, 2018 and available on Digital HD from Amazon Video and iTunes on December 18, 2018. In China during World War II, Chinese citizens faced repeated air-to-ground strikes from the Japanese Air Force. In 1940, Chinese aviators received special training from a United States' Army Colonel who had been assigned to help them prepare for impossible odds in a role where the life expectancy was five days or less. Follow their journey... A pilot known for his hot-headed temperament attempts to earn the honor of stopping the attacks by piloting a bomber. At the same time, a group of Chinese citizens, other refugees and even spies attempt to transport a decoder through enemy-occupied territory in an attempt to end the conflict.